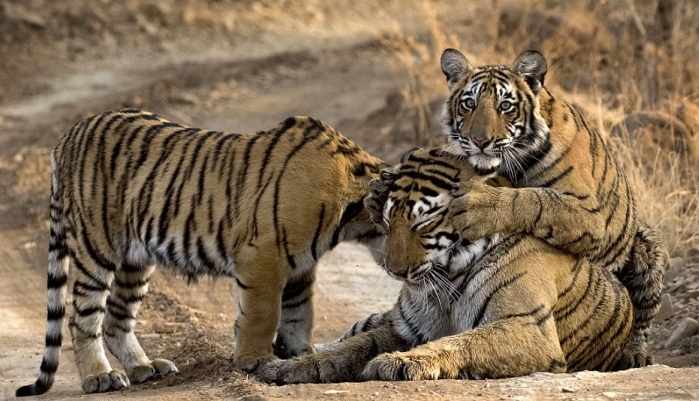 These adorable pictures show a family of tigers enjoying a cuddle in India. 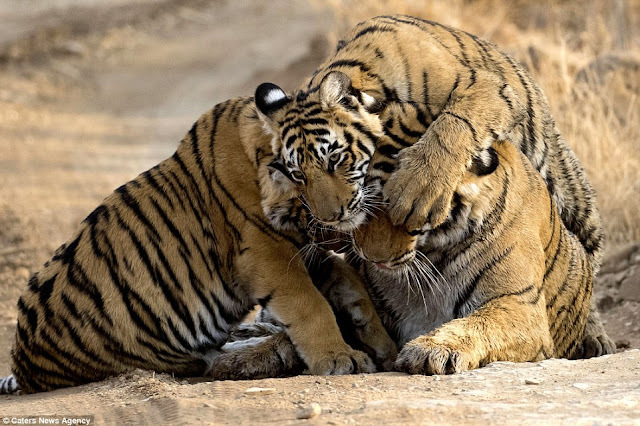 They were captured by pharmaceutical businessman Anshul Sikri along a forest path in the Rathambore Tiger Reserve in Rajasthan. 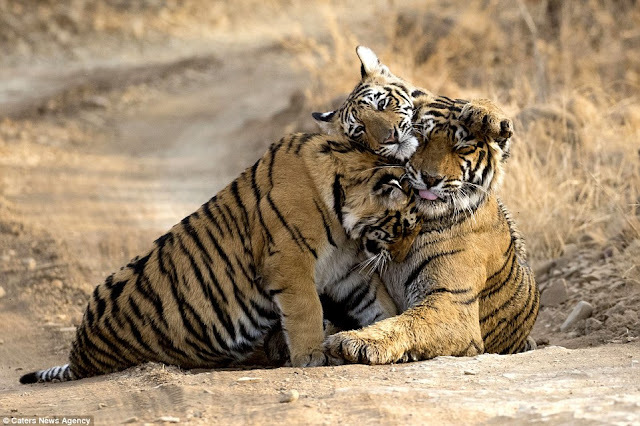 In one cute image, two 10-month-old cubs are seen snuggling together before one jumps on top of his mother, a tigress named Krishna, and proceeds to give her a head massage. 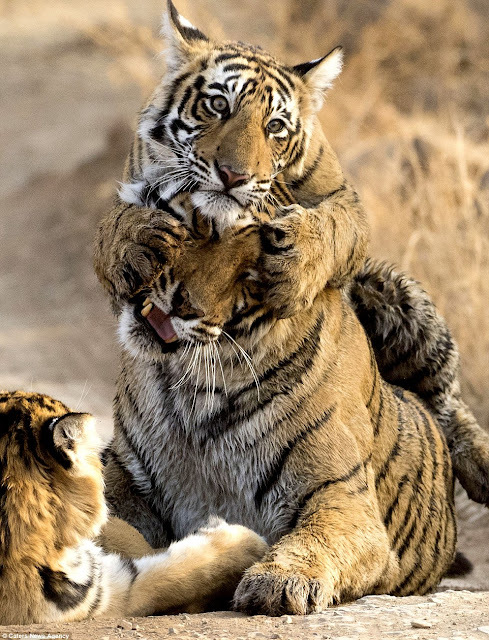 Mr Sikri, 33, from Gurugram, said the pictures show the softer side of the predators. 'I visit various tiger reserves several times a year to take photos, and this was one of my regular visits to Ranthambore,' he said. 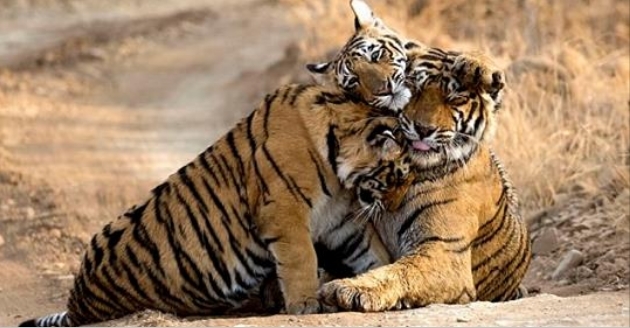 'These pictures are of a tigress named Krishna and officially numbered as T-19 by the forest department. She was with her third litter and the cubs are currently around 10 months old. 'We tracked this family for an entire morning and were fortunate to be the only Jeep present. We first spotted them at a watering hole and then followed them on the forest track. 'The cubs were constantly cuddling and I managed to capture one of the most intimate moments of a tiger family.' 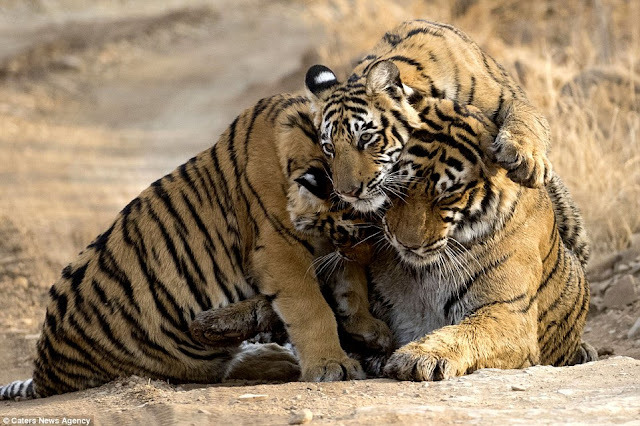 He added: 'My favourite images is the one where the two cubs are cuddling with their mother on the forest track. It really shows the softer side of this so-called beast. Responses to "Tiger cub clambers over her mother for a cuddle"